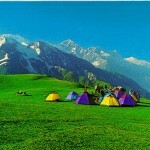 If you live in North America or elsewhere in the world you might never think to go camping in Pakistan or never know that people in Pakistan enjoy camping as a leisure activity. 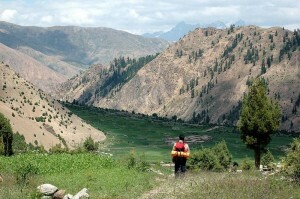 In fact Pakistan is a beautiful country with incredible landscapes where you can camp. I often go camping in Muree, Pakistan with my family. Yes, Pakistan is not always the easiest place to camp, but, with my advice below, hopefully you will gain some useful tips on camping in Pakistan as well as general camping tips which are useful anywhere. When my family and I go on our much-awaited hiking expeditions, I am in charge of encircling various hiking routes on the topographical map. Murree and the surrounding gallies in Pakistan play host to a vast number of exciting hiking tracks, but not all of them are as safe as they sound. Hence, authentic maps and various telephone calls to tourism offices and camping friends can be very helpful. Camping the night at a location may or may not need a permit, depending upon the place. I usually check out the legalities before choosing a suitable area. Here are some great general Tips When Hiking to help you prepare for your next hiking expedition. A Tent and Complementing Necessities such as pegs, guy ropes, groundsheets, flysheets, mallets, screwdrivers, sleeping bags, blankets, air beds, roll mats, pillows, duct tape, spare rope, hammocks, mosquito nets etc. Toiletries such as soap, shampoo, toothbrushes, toothpaste, deodorant, towels, toilet paper, wet wipes, hand sanitizers, sun cream, tweezers etc. Clothing which includes warm and cool clothes, waterproofs, umbrellas, raincoats, rain boots, walking shoes, beachwear, sun hats, woolen hats, gloves etc. First Aid Kit and complementing necessities such as antiseptic, bandages, paracetamol, insect repellant etc. Entertainment such as camera, binoculars, toys, books, games, CDs, a radio, spare batteries, a guitar etc. Maps, compass, cell phone, GPS etc. Miscellaneous Items such as matches, a lighter, bin bags, backpack, foldaway chairs/ tables, scissors, pens, paper, safety pins, a sewing kit etc. 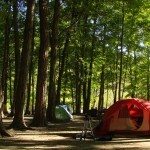 Here is a complete Camping Checklist you can use as a reference when packing. The size of the tent depends upon whether you choose to stay at campsites or explore nature through “wild” camping. It also depends upon the number of people in your party. “Wild” camping requires a small, light- weight tent if you are hiking on foot. Those moving in cars or staying at campsites may not bother themselves with tent sizes. 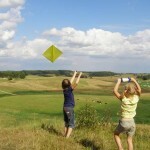 I suggest bigger parties and campers with children acquire bigger tents which are high enough to stand in. You must also remember that large tents need more time to set up. Aluminium Utensils such as plates, cutlery, pots, pans, aluminium foil packets etc. Paper or Plastic Disposable Plates, knives, forks, spoons etc. Frozen Food This does save time and is easy to carry but may be costly. Food Items such as cereals, salt, pepper, ketchup, dried mix herbs, long-life milk and juice, dried pasta, noodles and rice, jars of sauces, sugar, coffee, tea bags, drinking chocolate, etc. Dish Washing Items such as washing-up bowl, dish cloth, sponge, tea towels, washing-up liquid, etc. Miscellaneous Items Pan lids, long-handled spoons and forks, skewers, pot holders, napkins, paper towels, kettle, coffee pot, tin opener, bottle opener, coolers with ice, oven gloves, insulated plastic mugs with lids, grates for grilling, olive/ vegetable/ sunflower oil, thermos flask, refrigerated cooler, etc. A balanced diet is high up on Mom’s list which is why I try to pack food from every level of the food pyramid. Normally you can find edibles ranging from grilled fish to grilled tomatoes on our family’s loaded plates! Meat juices quickly contaminate ice in coolers; wash your hands to avoid food poisoning. A separate cooler may also be used to cool drinks. It is important to note that drips from meat must be avoided at all costs. River or lake water is unhealthy and should be boiled before use, even for washing. Here are some excellent and easy Camping Recipes to try on your next camping trip. As the sun starts to descend, a slight chill promptly engulfs the hillside. This is approximately the time my brothers, Raza and Rahim, start griping about the campfire. Campfires, like camping sites, may or may not need a permit. Starting one can be a pleasant task for the entire family. A couple of us collect fallen branches, twigs, leaves, paper, small sticks, large pieces of wood, etc. The rest of us make a fire ring and ignite the fuel till we sight a blaze. It is dangerous to start a fire in windy conditions or near trees, bushes, overhanging branches or spare firewood. If you are unsure of how to make a campfire be sure to read the article How To: Build a Campfire. Avoid lighter fluids and do not throw plastic, glass or aluminium cans or foil into the fire because this makes the place difficult to clean up later. If Dad cooks over the fire instead of using a grate, I always observe him wrapping pots and pans in tin foil to keep their bottoms clean which makes for a practical camping tip. Singing around the campfire is an old family tradition. We usually start this convention with the latest Bollywood song and trek back into history till we reach the 50’s! Our camping spot is very rarely a peaceful one at night. Once we made such hoopla over an old flick that neighboring campers edged in to take a closer look and ended singing into the night with us! Dad extinguishes the campfire completely before we snuggle in to sleep by pouring water over the coals and mixing them in some earth. The purpose behind this strategy is to not let coals re-kindle underneath. To illuminate and heat the tent at night, we make use of torches, head lamps, camping lanterns, portable heaters and our good old hot water bottles. I admit that I take pleasure in hiking and camping, but the state of my country is also a source of nervousness and tension. Gone are the days when a simple padlock on the tent would drive wrong- doers away. Since the past couple of years we have brought an end to wild camping and now spend nights only at guarded camp sites, pitching our tent close to another family. Each of us has a watch, whistle, cell phone, flash light and a knife with us at all times. Dad keeps the car locked and we avoid bringing valuables with us. Money and costly items are stashed out of sight. 4 responses to "Camping in Murree, Pakistan"
A well written article which can be of great help to campers. I couldn’t agree more! This is an excellent article! It is packed with great camping tips/ information and it shares with us some insight on camping in Pakistan which I think is really interesting. Very well done, thank you Aimen. Hey Aimen, that’s some cool piece of info you got up there! I was planning to camp with my friends, couldn’t decide a nice and decent location though, but after reading this, Murrees the place man! Still want some more info, like about permits or fees and locations in Murree to camp. Your help would be greatly appreciated.